Elise Crombez for Harper's Bazaar Australia September 2018. Elise Crombez for Vogue Paris September 2018. Elise Crombez for Loewe F/W 2018 Campaign. Elise Crombez for Unconditional Magazine SS18. Elise Crombez for Harper's Bazaar UK April 2017. Elise Crombez for Vogue Japan May 2015. Elise Crombez for Vogue Russia April 2015. Our models for Italian Vogue September 2014. Elise Crombez for Style.com: Print Spring 2014. Elise Crombez features in W Magazine October 2013. 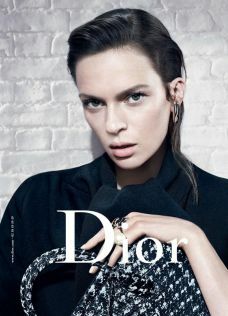 Elise Crombez for Dior 2013 Campaign. 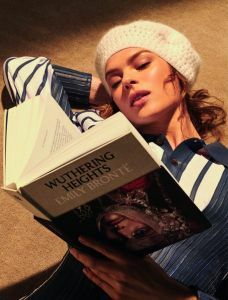 Elise Crombez for Harper's Bazaar Magazine U.S.A, June-July 2012. Elise Crombez and Saskia De Brauw for Interview Magazine, March 2012. Our beautiful models for Love Magazine, S-S 2012. Elise Crombez for Prada, S-S 2012.